I often see Optimist Club projects that I want to "do at home." In other words, I want to take the idea to my Optimist Club and ask for volunteer members to be as excited about it as me. When we're all excited about something, we make it happen. Of course, often times when I see a project, especially around the holidays - take the Oswego Optimist Club Pumpkin Races for example, we have to wait a whole year to make it happen. However, the project that I am highlighting today, playfully called Bounce Fever, can be done at any time of year. But putting it on when its cold outside, well that just makes it more fun. Kids love bounce houses and what could be better than a whole gymnasium full of them with unlimited access for a full day? Thanks to the London Laurel Optimist Club in Kentucky for the inspiration. I see Bounce Fever coming to a gym in Idaho very soon. As we look forward to a new year, this quote from Eleanor Roosevelt seemed to embody the true meaning of being an optimist. She said, "The purpose of life is to live it, to taste experience to the utmost, to reach out eagerly and without fear for newer richer experience." I hope to do so and I hope you do the same. Cheers to 2014. As an Optimist Club member, I've discovered the satisfaction that comes when one gives service to others. This happens all through the year, not only at Christmas. 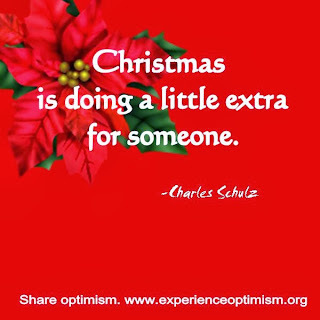 But it's true, as Charles Schulz said, "Christmas is doing a little extra for someone." I hope you find that joy today. Merry Christmas. Far away, in Billings, Montana, the Magic City Optimist Club Christmas tree lot was faring well. They also said that tree sales were up this year and are thankful for how the project will benefit many in the community including various youth projects like the YMCA After School Youth Rally Room the Special Children's Camp and the Boys and Girls Club, among others. As Christmas Day approaches, nothing feels better to an Optimist Club member working at a fundraising tree lot than this post from the Optimist Club of Greater Vienna. Christmas trees are often the biggest fundraiser that an Optimist Club pursues and the opportunity to have the week off before Christmas due to fast and swift sales is a blessing for the club and its families. But it also signifies something else; the economy is getting better. With more money circulating, families can invest in small pleasures and give back to the community at the same time. Buying a Christmas tree from a fundraising tree lot serves that purpose. Congratulations to all! Post by Optimist Club of Greater Vienna. This picture caught my eye today. 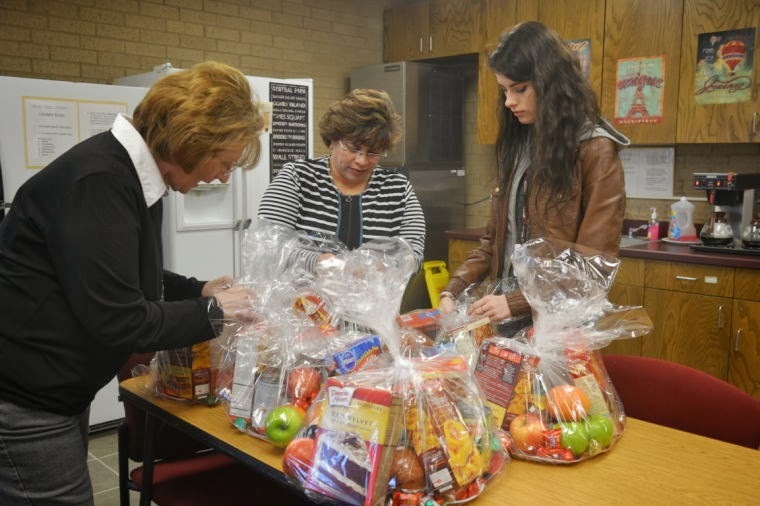 It was published at JenksJournal.com with a descriptive paragraph, "Optimist provides holiday food baskets ... The Jenks Optimist Club, partnered with the Jenks Police Department, area churches, the Jenks Chamber of Commerce and the Jenks Alternative Center, donated holiday food baskets to Jenks West Elementary and the Jenks Alternative Center." What crossed my mind when reading the paragraph was wow, those three ladies are sure doing the work for a lot of people. And then I thought how easy it would be to dismiss the great number of partnerships that help service clubs thrive in their communities. It takes collaboration to prevent needs and people from falling through the cracks during the holidays and even more so throughout the year. Next time your Optimist Club is fortunate to be photographed for the paper, try to be aware that the picture gives a good representation of the story because we know, it's a lot easier to read the headline, look at the picture and move on. 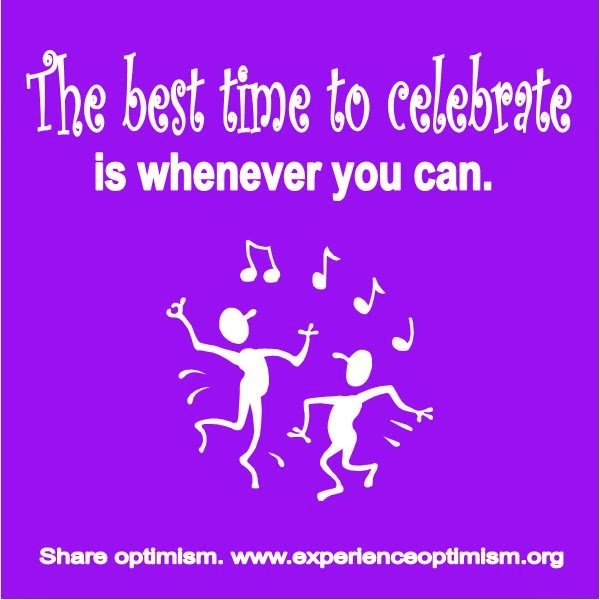 As an Optimist Club, or any service club, be sure that your partners receive praise for their contributions at the same time that you receive praise for your coordination of an activity. We're all in this together! Christmas day is less than one week away. You may have noticed this particular phenomenon - every year, beginning in November and running through the end of the year, many people become filled with gratitude, and overcome with joy. It's no doubt the holiday season that brings this sense of celebration to life. It makes going to work more interesting and coming home even more fulfilling. That sense of celebration fills us with anticipation, enthusiasm and hope. I have an idea. 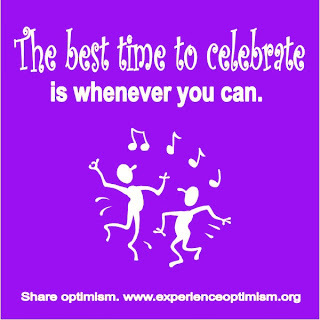 What if we promised ourselves to share this sense of joy throughout the year? What if we celebrated every day as if it were a special day? We would certainly experience optimism again and again. What a wonderful life it would be. The Optimist Club of Bixby, Oklahoma enjoyed caroling at its club Christmas party and then two days later, the members shared their special brand of joy with others when they hosted the Foster Children Christmas Party. This annual event assists families by providing gifts for foster children. While there, the children also got to talk to Santa and they enjoyed pizza, face painting, and yes, Christmas carols. Miss Bixby and her court were also in attendance and they took turns reading Christmas stories to the group. The Foster Children Christmas Party has been a community tradition for 20 years. To support the program, the Optimist Club receives a list of area foster children from the Department of Human Services. They then reach out to the families to see if they want to participate in the event. Those that participate provide a wish list to the Optimist Club and Santa's Helpers, aka Optimist Club members go to work to find the items on the lists. According to a club spokesperson, the kids will often ask for warm clothing and bedding, but the club also makes sure to make the gifts fun. 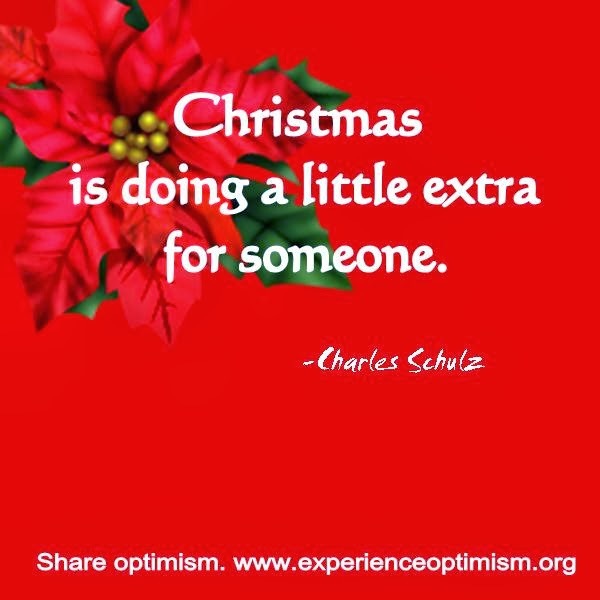 After all, making kids smile, especially at Christmas, is what the Optimist Club strives to do best. Photo contributed by the Bixby Optimist Club. Optimist Clubs frequently serve as a catalyst or conduit for others give more to their community. As a catalyst, the club might spark an interest in a cause and as a conduit, the club enables giving of gifts, money, or service. During the holiday season, the Optimist Club of Barbados South is doing both. It recently accepted gifts from the Sport for Life Program. The gifts will be given to children and families with the Christmas Hamper project that targets 30 families this year through the Child Care Board, plus an additional 10 families in the community. According to Tricia Ford with the Sport for Life Program, a program that inspires children in all areas of their life through sports, the group is focusing on service. She was proud to report that all 43 of the participants donated gifts to the cause. Optimist Club president Margaret Chapman-Farley received the gifts and was thankful to the group for helping the Optimist Club provide more services for children. Optimist Clubs support children's programs throughout the year and it is always delightful when students come to Optimist Club meetings to say thank you. Sometimes those remarkable young people visit and perform. That happens frequently during the holiday season and that's what's happening here. Recently, the North Intermediate Choir visited the Optimist Club of Bixby, Oklahoma and shared songs of Christmas cheer. I hope you enjoy. Or anything that will make others, and the person being fined, giggle. 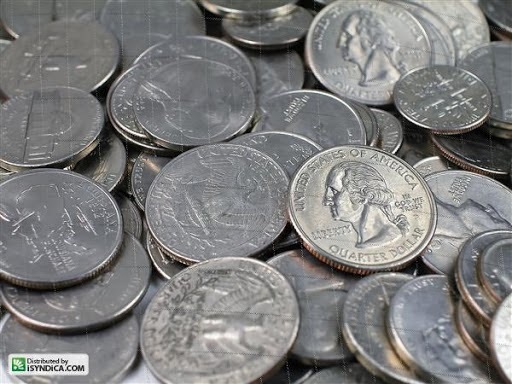 Such infractions will typically cost the miscreant a quarter; however, a very grievous infraction might call for a silent fine indicating that the person being charged is expected to put in a dollar. Again, it's all done in fun and never is anyone meant to feel that they are being punished. Instead, they should know that the fun being shared with them builds comaraderie in the group and the fines are being donated to a worthy cause. 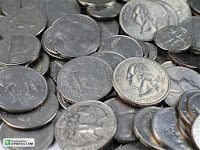 Of course, the Optimist Club members pick the cause each year, and at twenty-five cents a charge, it takes a while to accumulate enough to donate. In Saskatoon, Saskatchewan, the Riverside Optimist Club just made their fine pot donation, just in time for Christmas. They gave over $100 to Santa's Sporting Christmas fund, a project that raises money for the Salvation Army's Christmas hamper program. 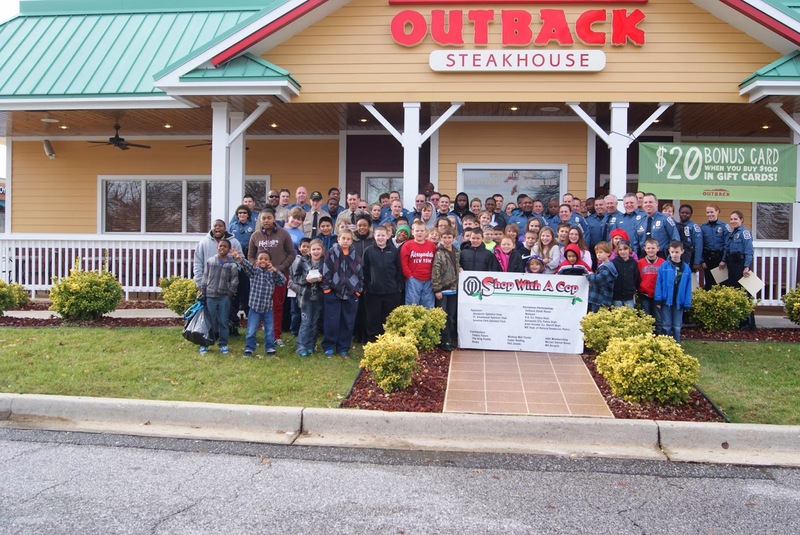 This is just one creative way that Optimist Clubs encourage giving and fellowship. Optimist Clubs throughout North America have shopping trips on their lists of things-to-do before Christmas and many of them are taking children right along with them for the experience. In Yuma, Arizona, Optimist Club members were up early on Saturday, December 7, for the annual holiday shopping spree. Children are take to the local J.C. Penney where they have $125 to spend on warm clothes for the season. They usually take about 30 kids each year, and this year, many individuals in the community donated $125 so that they could take one more. Labels: arizona, holiday, optimist club. It's snowing on Santa's House in Belleville, Illinois. According to the children and the Optimist Club, it's a beautiful sight. I agree. Here is a great picture from the Fort Smallwood Optimist Club in Pasadena, Maryland. 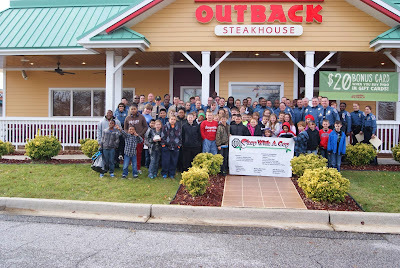 The club held its annual Shop with a Cop program today and the officers and their shopping-buddies are about to enjoy lunch at the Outback Steakhouse. The FortSmallwood Optimist Club teams up with the Cherry Hill Optimist Club and Annapolis Optimist Club for this activity. By including the police officers, the children are able to meet law enforcement officials at a non-threatening activity and it helps them build relationships and trust for instances when they might connect in the future. According to a club member, it's a good feeling to see the smiles and excitement on these less fortunate children! And it's wonderful to see Optimist Clubs making a difference, one project at a time. Thanks to the Fort Smallwood Optimist Club for the picture. Labels: holiday, maryland, optimist club. 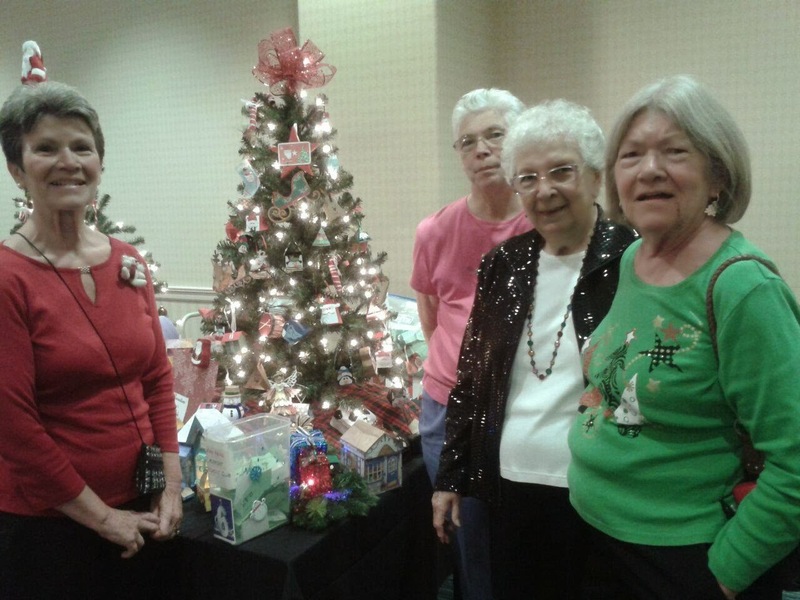 Christmas trees are an important part of the holiday season and many Optimist Clubs use them as fundraisers for the projects that they will do throughout the year. In Southern California, Optimist Clubs are using Christmas trees to help raise funds for another cause. According to Janet Bennett Bryant, The Van Nuys' Airport Optimist Club, among others decorated Christmas trees for the Festival of Trees at the Optimist Youth Home. 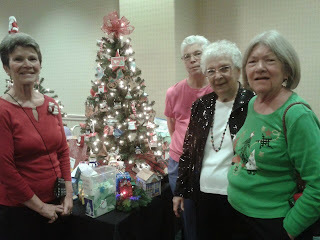 The Festival of Trees took place on December 1, 2013 and marks the 61st consecutive year that Optimist Clubs have come together for this fundraising activity. The Optimist Youth Homes and Family Services, a charitable organization that provides services to more than 500 at-risk youths and their families every day, has been supported by Optimist Clubs since 1920. Shown here are the designers and submission from the Van Nuys' Airport Optimist Club. The ornaments on their tree were all handmade. Thanks to Janet Bennett Bryant for the photo and story. "It is time again for the diaper drive. Last year the Optimists delivered a whopping 8,728 diapers to Joe Mahoney for the Pueblo Catholic Charities. Summit Brick collected 3,120 and challenged other businesses. ENT Credit Unions, Pueblo Wintronics, many local businesses, anonymous donors, Optimist's friends, family and coworkers all dug deep to make this event a grand success. As was done last year, all items will be dispersed thru Pueblo Catholic Charities - please contact Shannon to arrange for your donations. Help keep our babies healthy and reduce family stress during the holidays!" 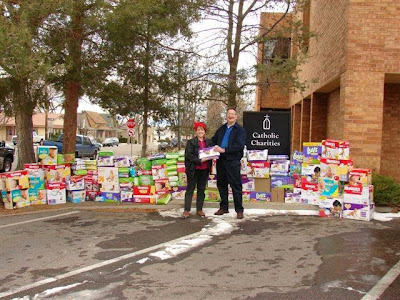 Now that is a lot of diapers! I'm sure they could use your help to complete their mission or perhaps your Optimist Club might want to reach out to your community in a similar way. Great ideas should be shared. Share your optimism today. Use the form below to tell us about one of your favorite service projects now.